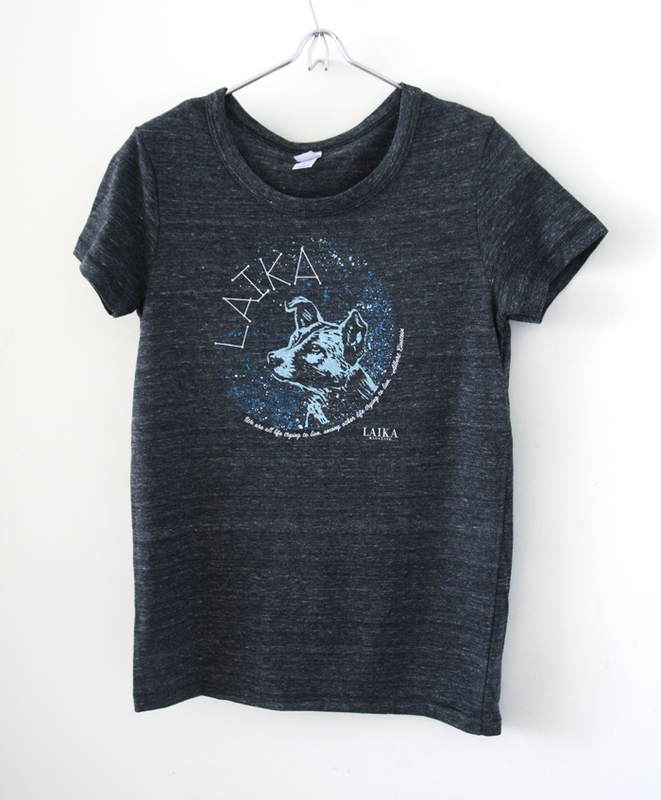 Please note: The Men’s style is a Unisex fit. 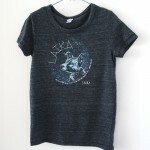 Women’s style is sold out. 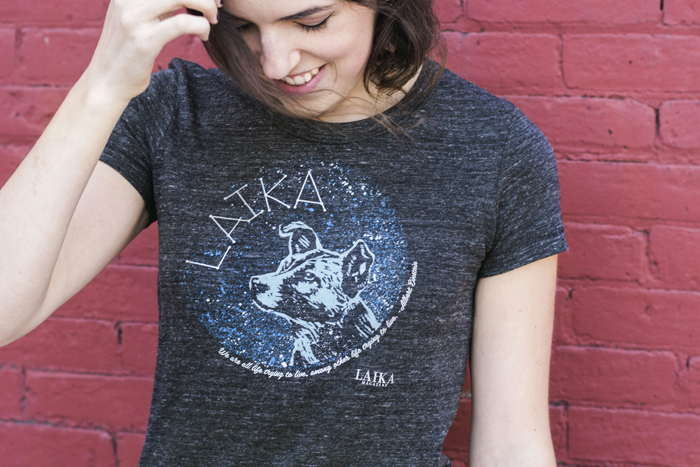 Introducing the very first LAIKA tee, which depicts our magazine’s namesake, Laika the Soviet Space dog. 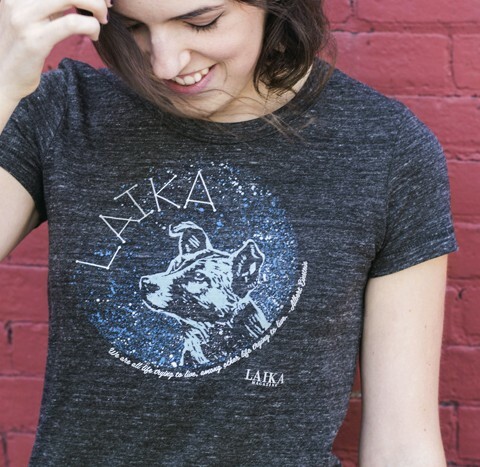 The design is a special LAIKA x Herbivore Clothing Company collaboration and was hand-created by their co-founder Josh Hooten. 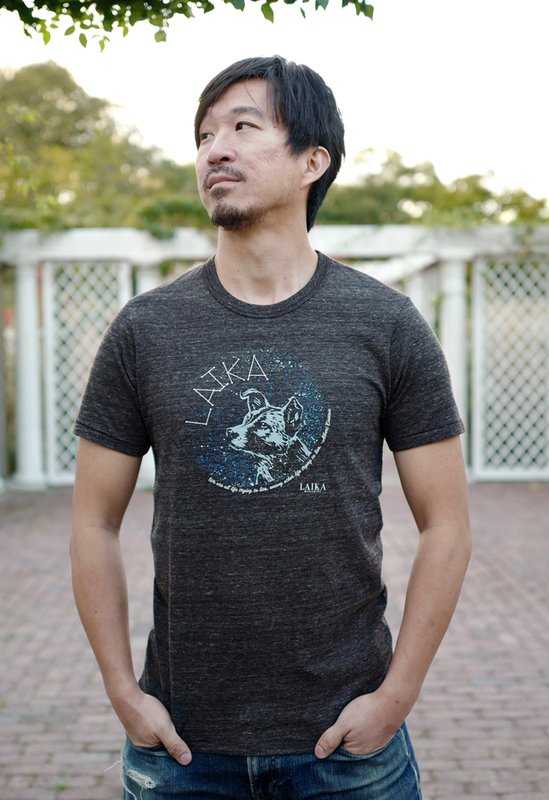 The shirt is a tribute to Laika – who perished needlessly on November 3, 1957 as part of the Soviet space exploration program – and to all animals treated unjustly, and is a message of hope for the future. It features her surrounded by stars and the universe, with a constellation spelling out hers and our magazine’s name. 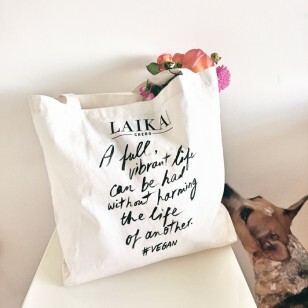 A quote from Albert Einstein encircles the beautiful artwork: “We are all life trying to live, among other life trying to live.” The magazine’s logo is stamped underneath. 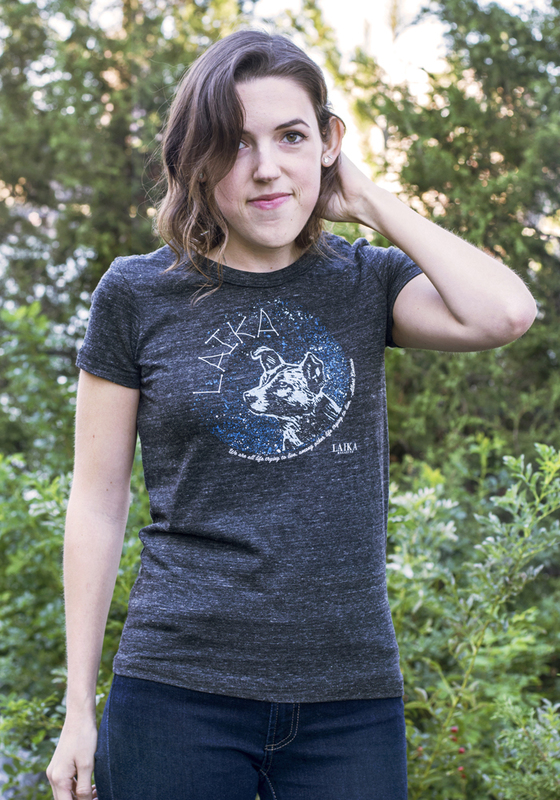 Comfortable enough for everyday wear, this go-to tee makes a beautiful and thoughtful statement for compassion. Emily is wearing a Small. 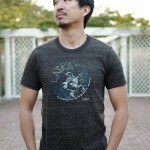 Kenny is wearing a Medium. 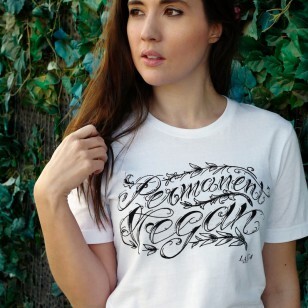 Printed on Alternative Apparel tees. Made in Dominican Republic. View size guide here. Machine wash cold; tumble dry low.